If you’re into sports you need the right amino acids. In addition to a balanced composition with sufficient BCAAs and Glutamine, the form in which the amino acid is offered to your body is essential. Our fast acting Liquid Amino is a conscious choice over a slower acting protein supplement. Without a doubt the best tasting liquid amino ever! Among other ingredients, Liquid Amino contains whey protein that has been hydrolysed to the smallest possible free amino acids. Your body can rapidly absorb these amino acids without the need for digestion. This allows you to recover from major strength work extremely quickly. And don’t forget: your body stays in the anabolic growth state much longer. This makes you feel fitter and stronger and your muscles will grow faster in a shorter space of time. On training days: take 40 ml Liquid Amino (approx. 4 tablespoons) 30 minutes before training. On rest days: take 20 ml Liquid Amino (approx. 2 tablespoons) 15 minutes before breakfast and 20 ml (approx. 2 tablespoons) shortly before sleeping. 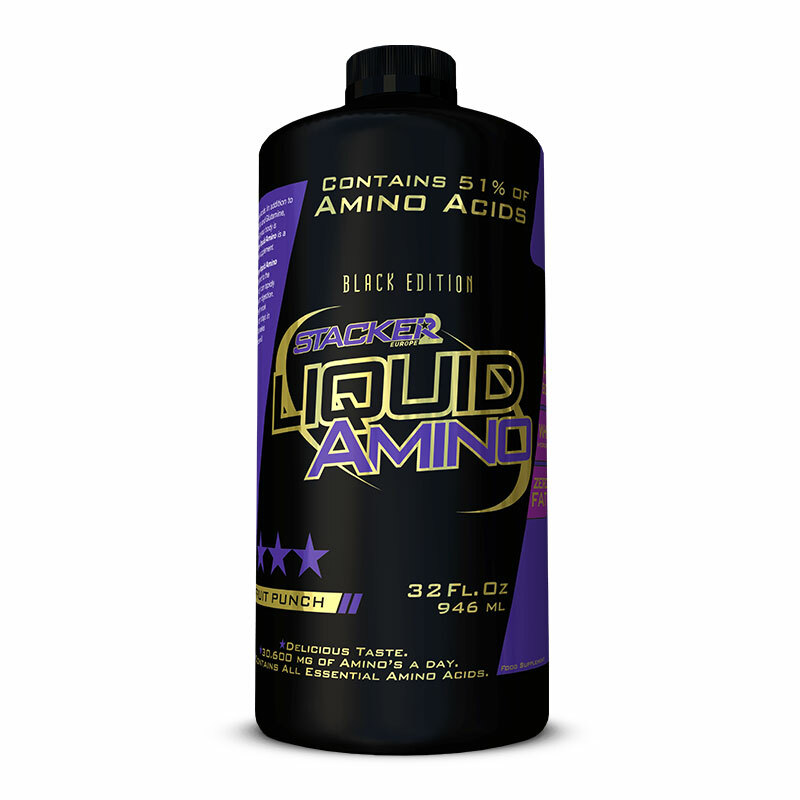 In what way is Stacker2 Europe Liquid Amino different from other brands? Liquid Amino is distinguished by a delicious Fruit Punch flavour, a super fast absorption and a high amino acid percentage of 51%. What is better after the workout? Liquid Amino or a Whey shake? A Whey shake is still the most suitable after a workout, but in some situations, Liquid Amino is more practical. 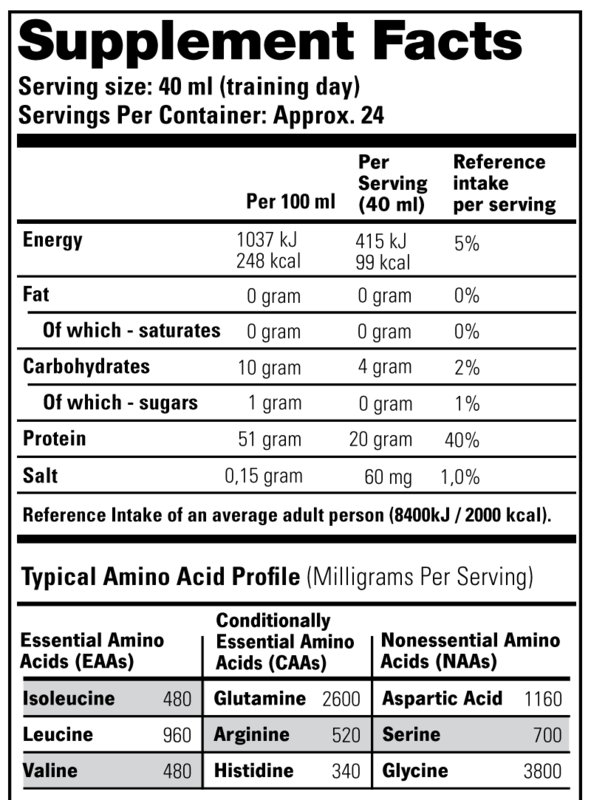 You might opt for Liquid Amino when you want a super fast absorption (to prevent catabolism). In such a case, you take Liquid Amino immediately after exercise, it’s best to do this in the changing room. A top product; there’s no arguing about the flavour. I find it easy: a bit in the morning and again in the evening, then it lasts you about a month. I recommend it! The only liquid amino that tastes good. Whatever you hear or read, add it to your isotone drink in your camel bag, and you will have recuperated better the next day! Good to drink! nice taste, it would use all day. Helps me very well with recovery of the muscles. Super product!